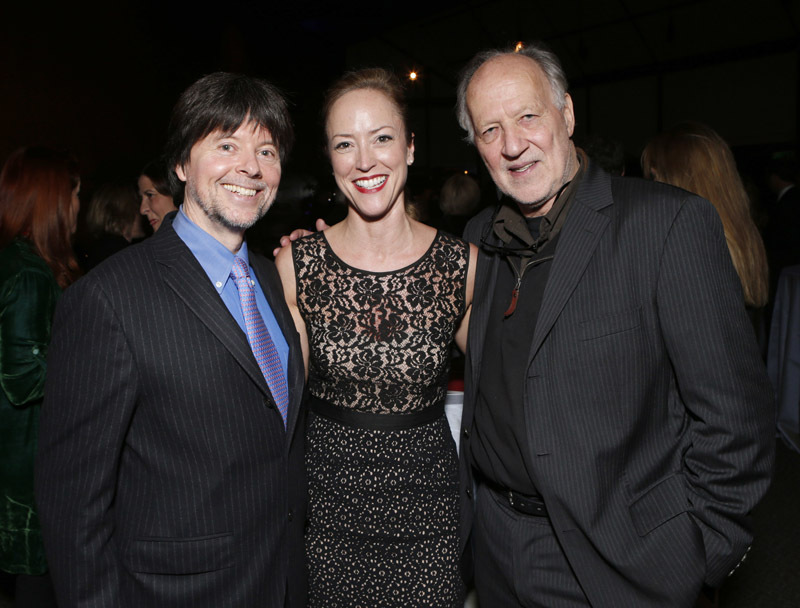 On Friday, December 7, 2012, the biggest names and faces from documentary film and non-fiction production in the past year all gathered at the Directors Guild of America Theater in Los Angeles to celebrate this year's achievements in the medium. 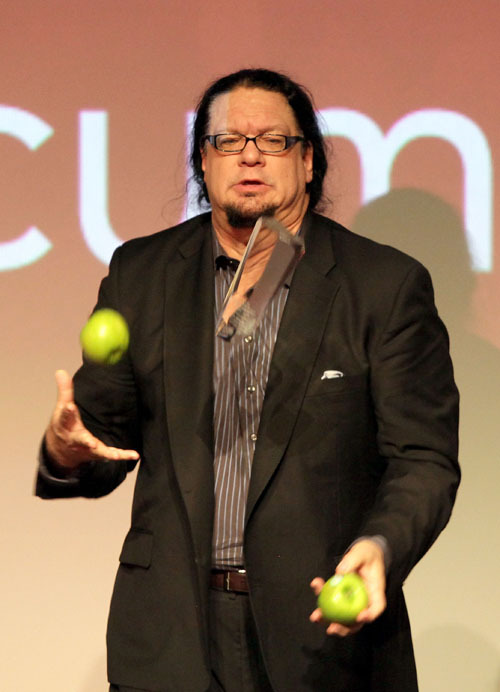 Renowned illusionist, comedian, and larger-than-life personality Penn Jillette hosted the 28th year of this Awards program, which recognized a gamut of productions in 15 different award categories. 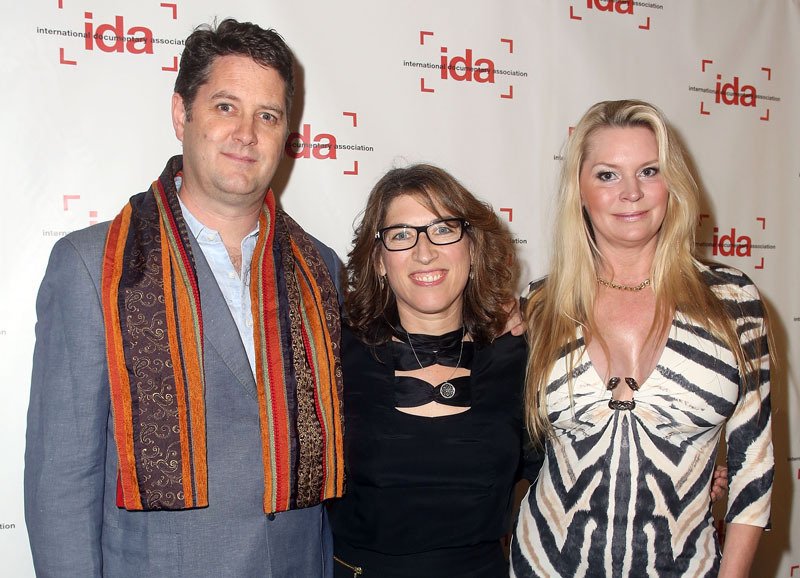 The ceremony, which kicked off after A&E's pre-party honoring IDA Career Achievement Award winner Arnold Shapiro, was full of laughs, heart-felt words about the art of documentary, and chills to accompany touching and moving clips from 2012's year in docs. 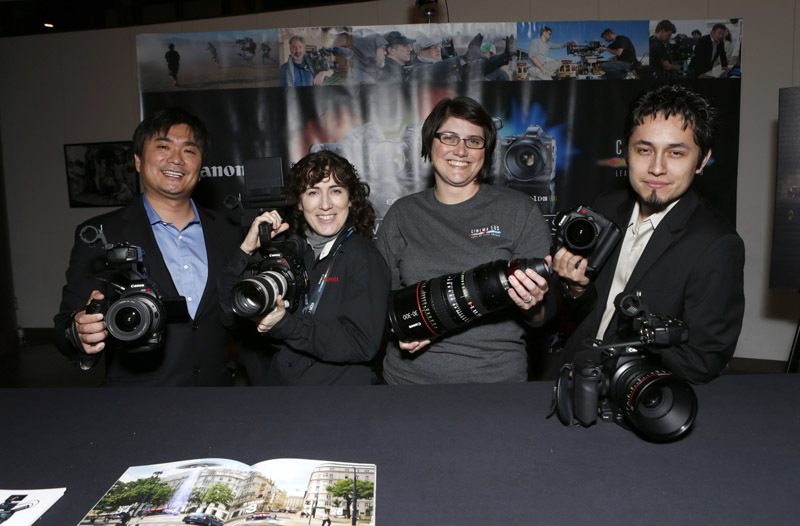 The ceremony was followed by an after-party with food and drink, sponsored by Canon. The night kicked off with a party to honor IDA Career Achievement Award winner Arnold Shapiro. 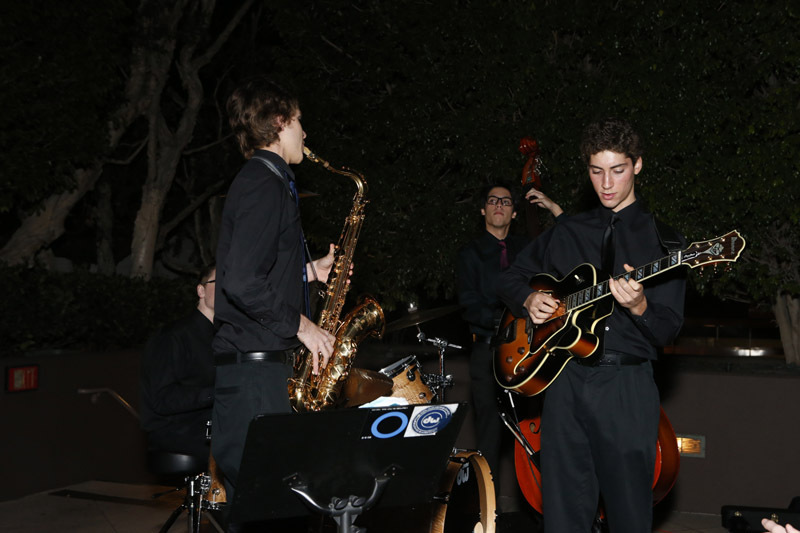 VIPs mingled with members of the documentary film community, while a quartet played music on the DGA Theater's back patio. Shapiro addressed the crowd at his party in what would be one of two speeches he would give that night. IDA's Executive Director Michael Lumpkin and A&E's Laura Fleury introduced Shapiro and thanked everyone for attending the night's festivities. 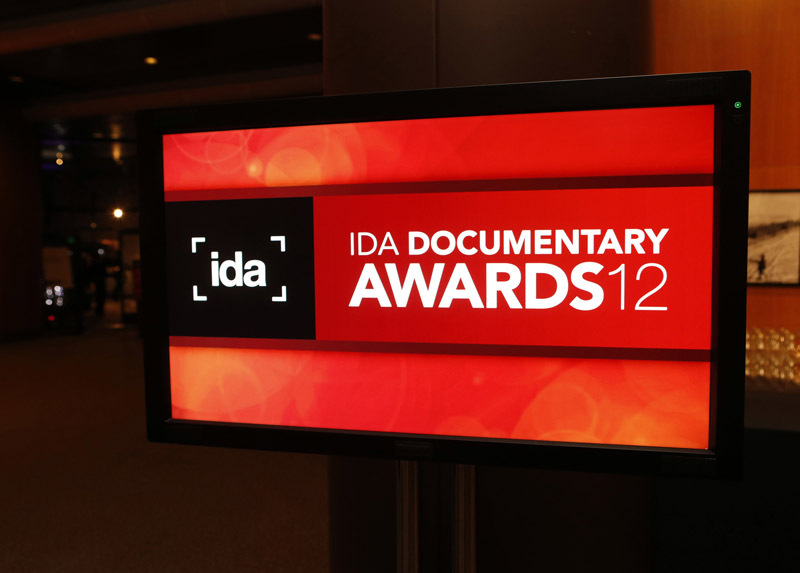 During the pre-party, arriving guests made their way down the red carpet for photo ops and interviews with various press organizations and the IDA's very own video production crew. 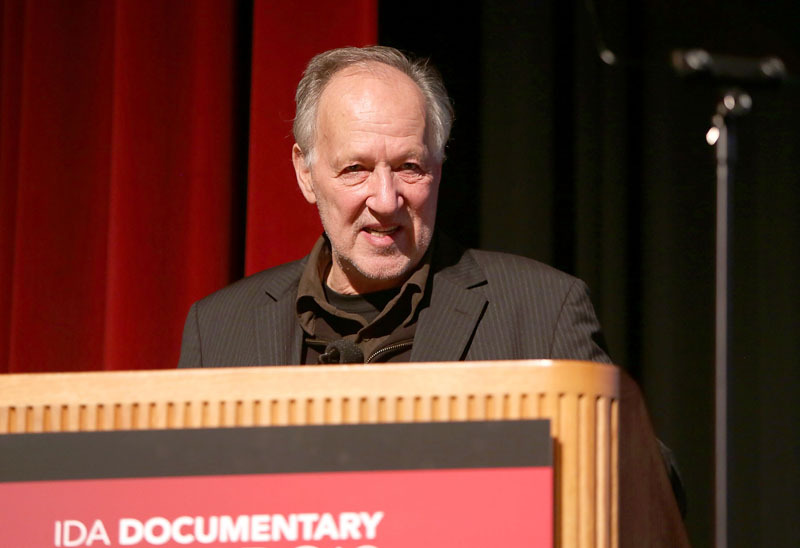 We were happy to speak one-on-one with Werner Herzog, Queen of Versailles's Lauren Greenfield, Ken Burns, host Penn Jillette, and IDA Jacqueline Donnet Emerging Filmmaker Award winner David France, among others. Our first award of the night was the ABCNews VideoSource Award, which is given each year for the best use of news footage as an integral component in a documentary. This year's winner was Harvest of Empire, a feature-length documentary that examines the direct connection between the long history of U.S. intervention in Latin America and the immigration crisis we face today. 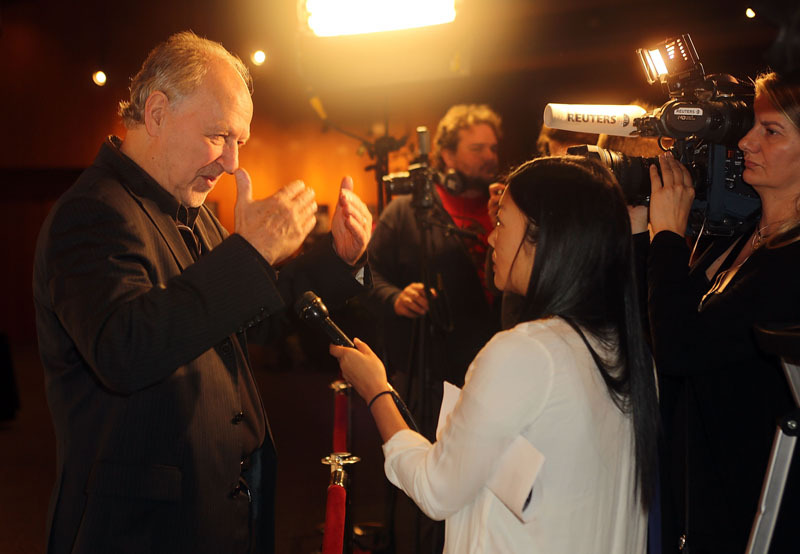 Director Peter Getzels accepted the award on behalf of the film. During the ceremony, two series awards were also presented. The Best Continuing Series Award went to the PBS series American Masters, which has profiled more than 180 of our nation’s most enduring artistic giants since 1986. 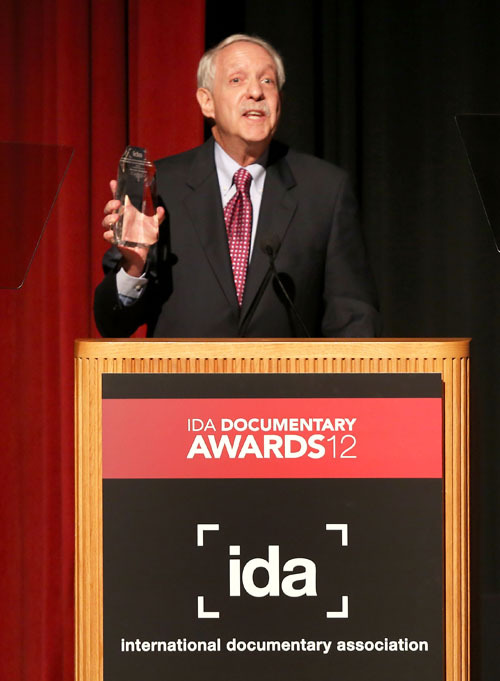 The Best Limited Series Award went to Investigation Discovery’s On Death Row, written and directed by 2008 IDA Career Achievement Award honoree Werner Herzog. IDA's Pare Lorentz Award recognizes films that demonstrate exemplary filmmaking while focusing on the appropriate use of the natural environment, justice for all and the illumination of pressing social problems. This year, this award was given to The Island President, the story of President Mohamed Nasheed of the Maldives. Director Jon Shenk was on hand to accept the award from host Jillette. The night moved next to the David L. Wolper Student Documentary Award, which recognizes exceptional achievement in non-fiction film and video production at the university level and brings greater public and industry awareness to the work of students in the documentary field. This year, the award went to Mark Kendall's La Camioneta, a film made while Kendall was a student at The School of Visual Arts. Penn next called our fearless leader Michael Lumpkin to the stage, where our Executive Director thanked all of our wonderful sponsors of this event. Enough cannot be said about the DGA, American Film Showcase, The Standard Hotel, Stella Artois, Chainsaw, Docurama Films, Sony Creative Software, Focus Forward, Authentic Entertainment, Firstcom Music, PBS, HBO Documentary Films, IMAX, PES Payroll, Investigation Discovery, and ABCNews VideoSource for their generous contributions without which this event would not be possible. We especially want to thank our Luminary Sponsors A&E and Canon, who made both the VIP pre-party honoring Arnold Shapiro and the after-party not just possible, but also wildly successful. 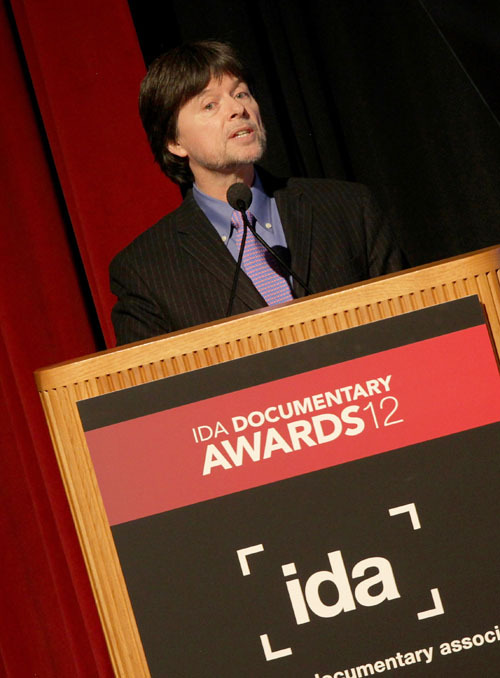 Before leaving the stage, Lumpkin called legendary documentary filmmaker Ken Burns to the stage. Burns used this opportunity to discuss the advocacy efforts that the IDA has made so prominent in the past several years, including our efforts, along with Donaldson + Callif, in helping to fight the subpoena issued by the city of New York for the outtakes and extra footage collected during the making of Central Park Five. His kind words of support for our efforts remind us to keep on fighting the good fight for everyone attempting to exercise their right to free speech through their filmmaking and their art. We're so happy to know Ken Burns is on our side. In rapid-fire succession, Jillette next handed out the Creative Recognition Awards to the winners, which were announced in advance of the night's ceremony. 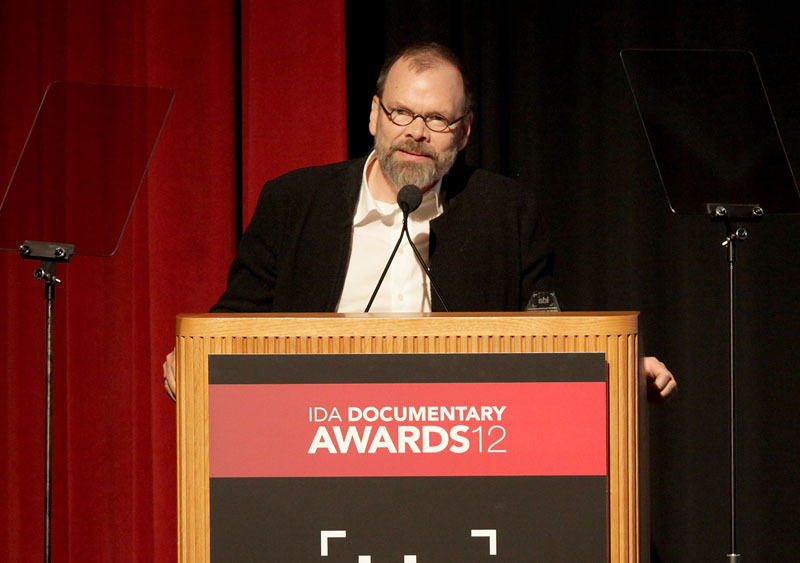 Peter Gerdehag of Sweden picked up the Best Cinematography Award for his film Women With Cows, while Rodney Ascher's intricate Room 237 took the prize for Best Editing. 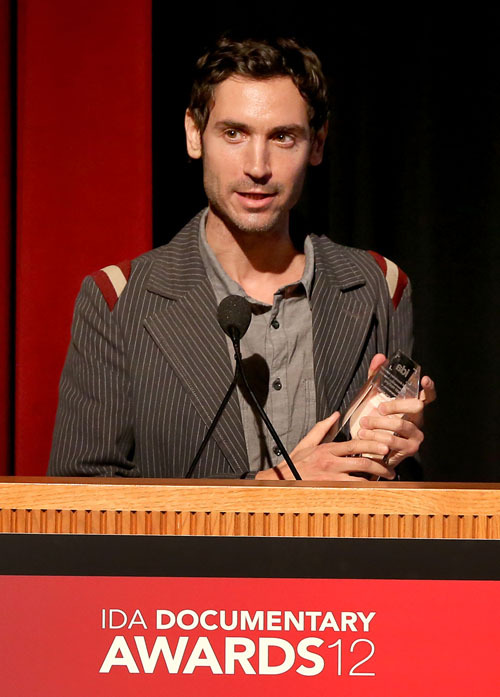 Best Music went to Malik Bendjelloul's Searching for Sugar Man, and Ann Richards' Texas nabbed the Best Writing award. Complete with mooing and hugs, this was by far the most comedic moment of the evening—aside, maybe, from Penn's juggling act. To keep things moving, Penn asked IDA's Jacqueline Donnet Emerging Filmmaker Award winner David France to take the stage to accept his honor. 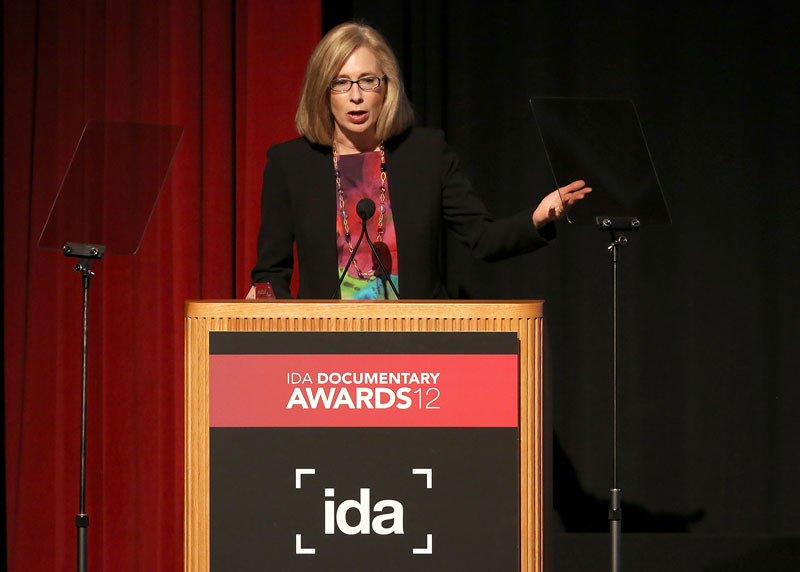 Each year, the IDA recognizes the achievements of a filmmaker who has made a significant impact at the beginning of his or her career in documentary film. This year, the honoree was David France, the producer and director of one of the year’s most-acclaimed films How to Survive a Plague. Since the film's premiere last January at the Sundance Film Festival, award-winning journalist and New York Times best-selling author David France has received tremendous praise from critics, programmers and fellow filmmakers for his directorial debut film. Several films have been inspired by his work, including the Emmy-nominated Showtime film Our Fathers, for which he received a WGA nomination. France acknowledged that while it was amazing to say that anything at this point in his life could be considered "emerging," he was honored to be bestowed with such an award. 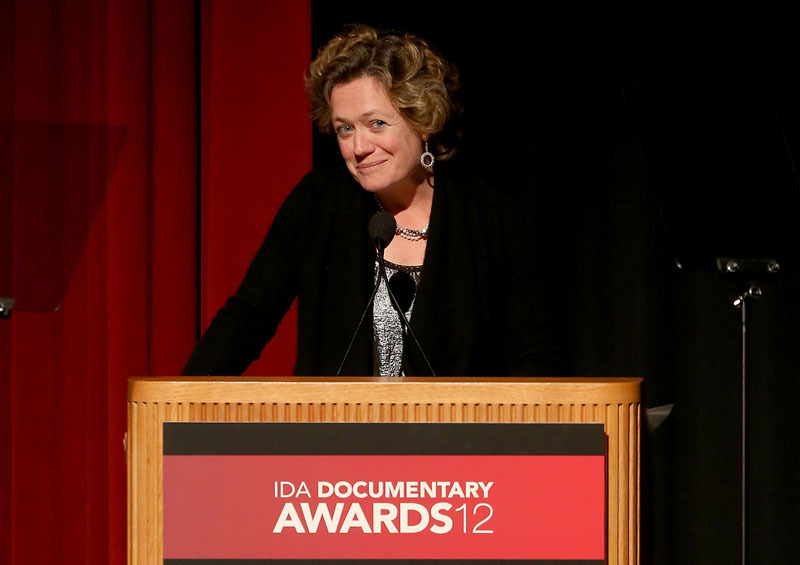 Next, filmmaker Rob Epstein asked Sundance Institute's Cara Mertes to the podium to accept IDA's Pioneer Award for the Sundance Institute's Documentary Film Program and Fund (DFP). The DFP, which was established in 2002 with a gift from the Open Society Institute with leadership support from Ford Foundation's Just Films initiative among others, is a leading creative and financial resource for contemporary-issue nonfiction filmmakers worldwide. Each year the DFP grants and awards $1-2 million to independent documentary films and conducts a portfolio of Creative Labs and Fellows programs at Sundance Resort, Sundance Film Festival and elsewhere. Under the direction of Cara Mertes, the DFP also convenes events and forges partnerships globally to draw new resources to the non-fiction field, and to amplify the use of film as a tool for impact and motivate change towards more open and equitable societies. Her speech touched on the ways that both the DFP and our world have changed in the 10 years since the founding of this programming, providing a poignant moment of reflection for everyone in attendance. Up next, Executive Director of the HUMANITAS Prize Cathleen Young spoke about this award, which is given to a film that explores the hopes and fears of human beings who are very different in culture, race, lifestyle, political loyalties and religious beliefs in order to break down the walls of ignorance which separate us. This year, the HUMANITAS Prize went to Bitter Seeds, directed by Micha X. Peled. Every 30 minutes a farmer in India kills himself in despair because he can no longer provide for his family. Will Ramkrishna be next? A cotton farmer at the epicenter of the suicide crisis region, he is struggling to keep his land. Manjusha, the neighbors’ daughter, is determined to overcome village traditions and become a journalist. Ramkrishna’s plight becomes her first assignment. Director Peled took the stage to gratefully accept this award. 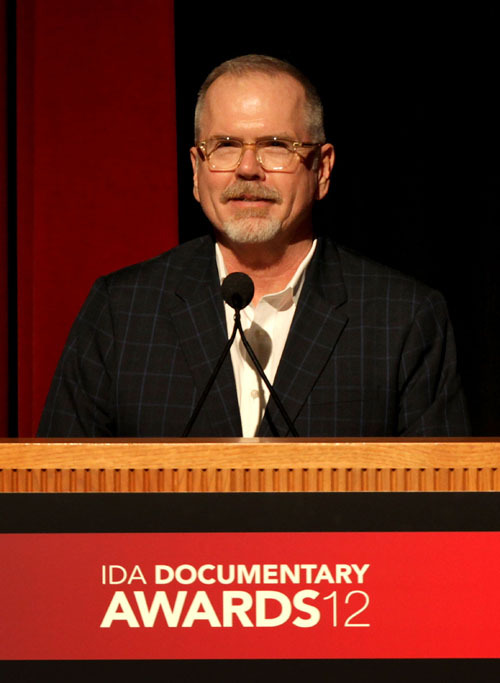 Each year, the IDA bestows its Career Achievement Award to an individual whose work has spanned many subjects, years, and awards seasons. 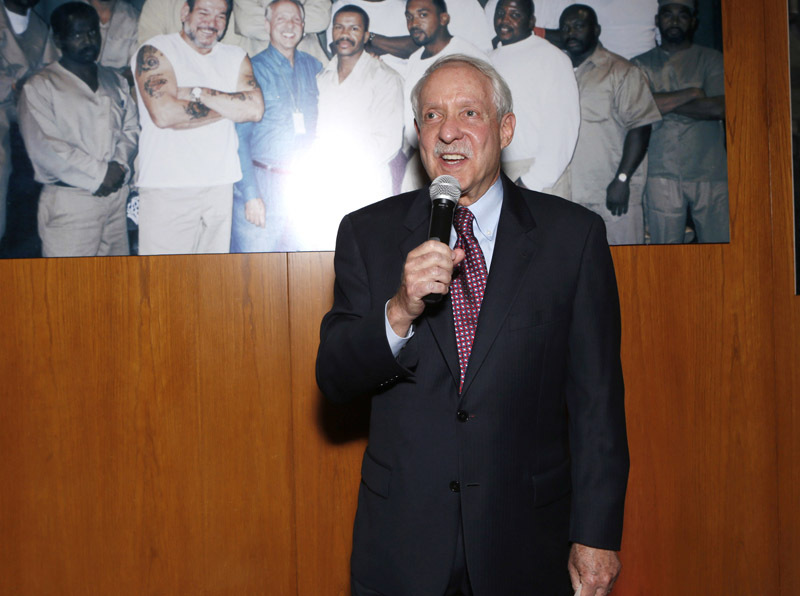 Arnold Shapiro, Oscar and Emmy Award-winning producer, director, writer of the documentary Scared Straight!, was chosen this year for his vast body of work. Shapiro is the mind behind 33 series, including CBS's Rescue 911 and Big Brother, and the current A&E hit series, Beyond Scared Straight; four CBS-TV movies, two prime time CBS drama specials, and more than 90 documentaries and specials. 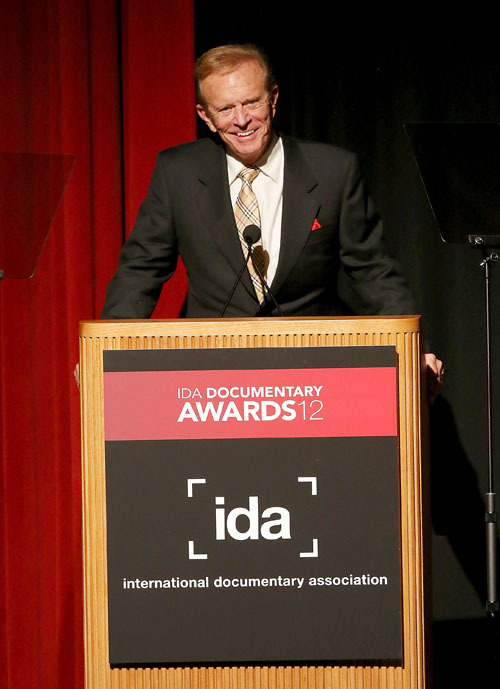 IDA's Career Achievement Award was presented by Shapiro's longtime friend Bob Eubanks, who spoke of a time when the two were in their early 20s and just starting their careers as television producers. His inspiring speech spoke of the time when the two of them went to networks with the smallest idea for a game show, which would turn around and eventually launch both of their lifelong careers in television and entertainment. Shapiro made his way to the stage to the sound of a standing ovation from the crowd, where he revealed that fear was the key to his success. "I literally have made myself – scared successful," he said, to a round of applause and laughter from the audience. 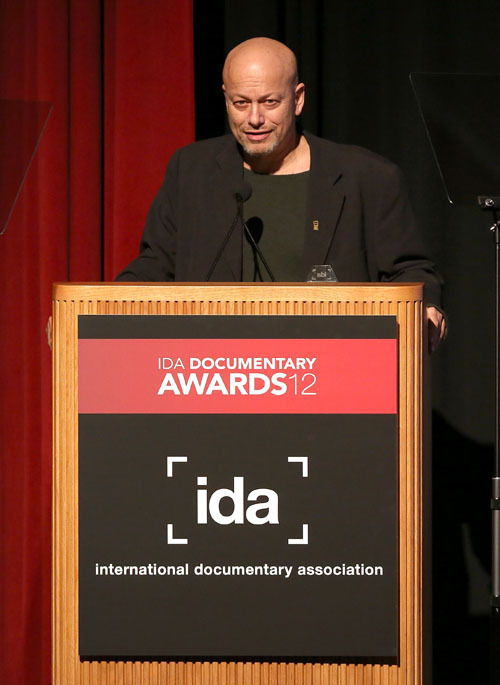 The ceremony ended with Penn announcing the winners of the Best Short and Best Feature Awards, which were voted on by a select group of IDA Members. Among the outstanding nominees in both categories, Best Short went to Saving Face, the Oscar® winning film which follows several women in Pakistan who have been disfigured by acid violence. 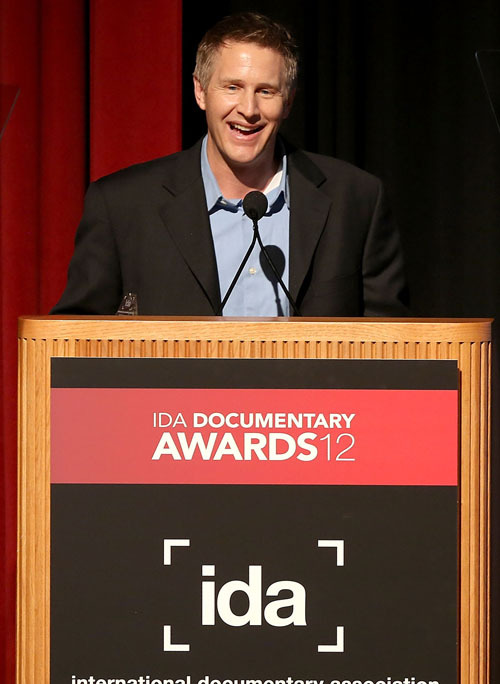 Director Daniel Junge took the stage to accept the award. Finally, the Best Feature award went to Searching for Sugar Man, the incredible story of Sixto Rodriguez, a '70s rock singer/songwriter who bombed in his native America, but became the voice for a generation in Apartheid-era South Africa. 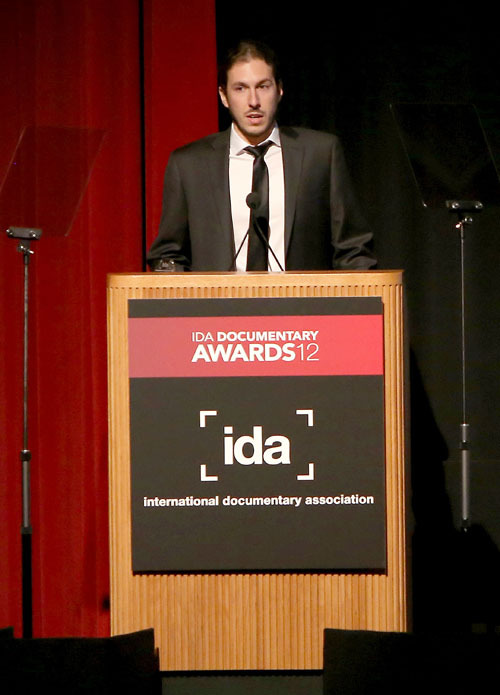 Director Malik Bendjelloul took the stage to accept the award. 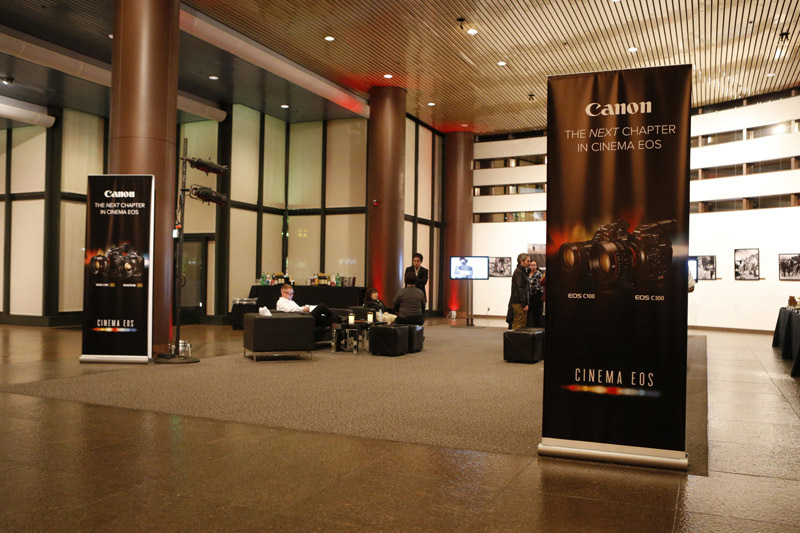 With the ceremony now complete, Awards attendees filed out into the lobby, decked out by Canon and complete with a special lounge and a "Touch and Try" booth stocked with their latest and greatest camera technology. Refreshments were provided by 24 Carrot Catering and Stella Artois. For more photos from A&E's VIP Party honoring Arnold Shapiro, the IDA Awards ceremony, and the Canon after-party, please visit our album on Facebook.